UCC is an AmeriCorps program made up of members, staff, and partners dedicated to service to our community and environment. We engage in projects throughout the state of Utah that address goals relating to environmental conservation, leadership, education, and sustainability. UCC AmeriCorps members have committed to a term of service for their country that may range from 3 months to a year. Our members are individuals seeking opportunities to give back, to improve the environment and explore the beauty of Utah's public lands. 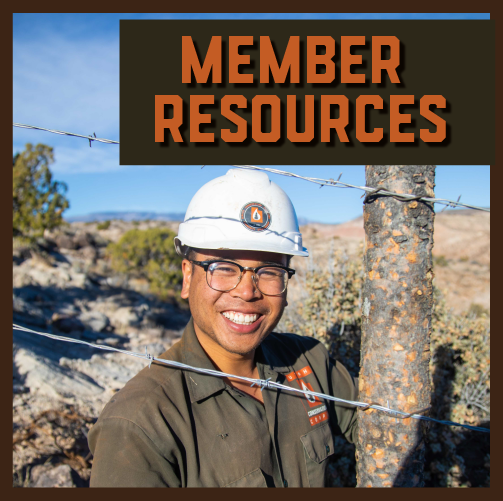 Many of our members are current students or recent graduates looking to gain experience in the fields of natural resource conservation, education, or social services. Utah Conservation Corps is a program of Utah State University's Center for Civic Engagement & Service Learning. 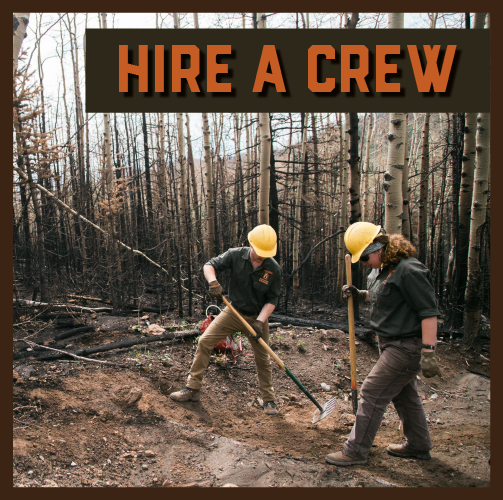 UCC offers service opportunities working on a conservation field crew or through individual placement with one of our non-profit or government agency partners. The UCC proudly follows in the legacy of the Civilian Conservation Corps (CCC) while expanding the national service tradition to more diverse audiences as a 21st Century Conservation Service Corps. The UCC was developed by a group of committed citizens that formed a steering committee in the fall of 1999 and wrote a successful AmeriCorps grant proposal in the winter of 2000. The UCC began operation at Utah State University's Outdoor Recreation Center with its first group of AmeriCorps members in January 2001. 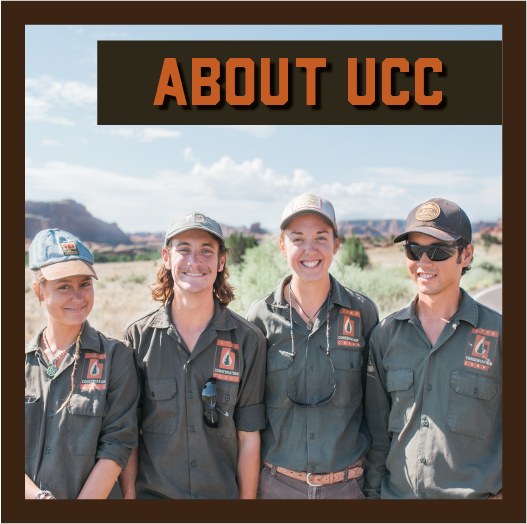 Since inception, UCC AmeriCorps members have completed traditional conservation corps projects including trail maintenance, habitat restoration, fuels reduction, fence maintenance as well as travel management, habitat, and recreation surveys. The UCC has been a national leader in expanding the traditional conservation corps model to include AmeriCorps members serving with non-profits completing environmental education (2004), disability inclusive crews (2007), veterans crews (2010), Bilingual Youth Corps crews (2010), and bike crew (2015).